Today was shoulders – Trapeze – calves session. I feel that I work better my shoulders now, it’s cool, they will make good progress. Sometimes I’d like to have faster results but I realize that if I hadn’t made those mistakes, I never found how to effectively work my shoulders. I’m happy with my shoulders. 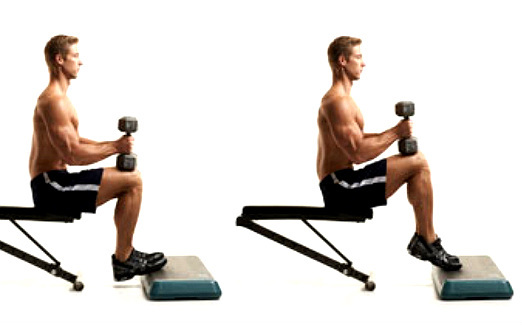 There is an exercise I do for calves, it’s dumbbells seated calf raise. I don’t see many people in my gym to train calves, it’s true, there is no machine but there are other ways to train them. When I do this exercise, I take dumbbells of 45kg (99lbs) and often people ask me if I need help because they believe that I will do the bench press. I tell them, it’s for my calves and they look at me strangely. Before I didn’t like when they looked at me like that but now, it’s good. When it’s summertime you really see how are people bodies and it’s radical. It’s an exercise that should be done by all athletes because calves are the weak point for most people, even those who have played soccer. With standing extension movements soleus not working effectively. 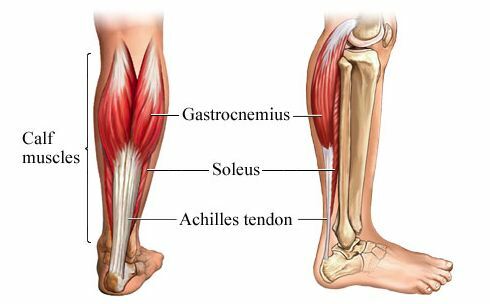 Sitting, your knees flexed and your gastrocnemius work less thus soleus will be able to contract effectively. Place two discs of 10kg (48lbs) on the floor to 30cm (12 inches) of the bench (your legs should be 90°); Sit on the bench and puts your dumbbells on your thighs near your knees; Now your toes up on discs (the starting position); Raise your heels as high as possible and control the descent back to the starting position. This exercise mainly works the soleus and gastrocnemius slightly. And you ? Do you know a good exercise for working calves without machine ?